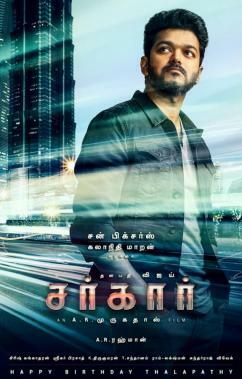 A film that has everybody hooked with much excitement, Sarkar, slated for a Diwali release in November features ‘Thalapathy’ Vijay in the lead role under A. R. Murugadoss’s direction. A major part of production has wrapped up for Sarkar, which is currently being shot at EVP Film City on the outskirts of Chennai city. That being said, actress Varalaxmi Sarathkumar, who plays a pivotal character in Sarkar, took to her Twitter page earlier today to share a picture of Vijay in a casual moment stating it was only possible after getting permission from A. R. Murugadoss. 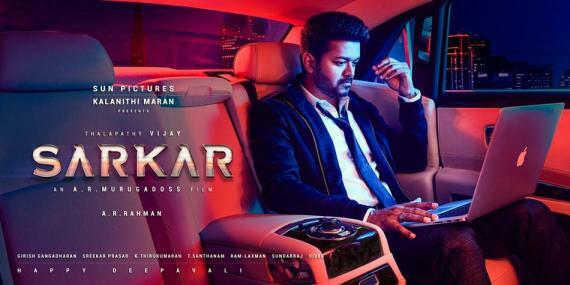 Featuring music by A. R. Rahman, Sarkar also includes actress Keerthy Suresh as the main female lead under the Sun Pictures banner.